Upper-class parents have tools to help their children succeed in a changing world and improve their social status, advantages not readily available to poorer families, according to a panel at a Harvard conference. 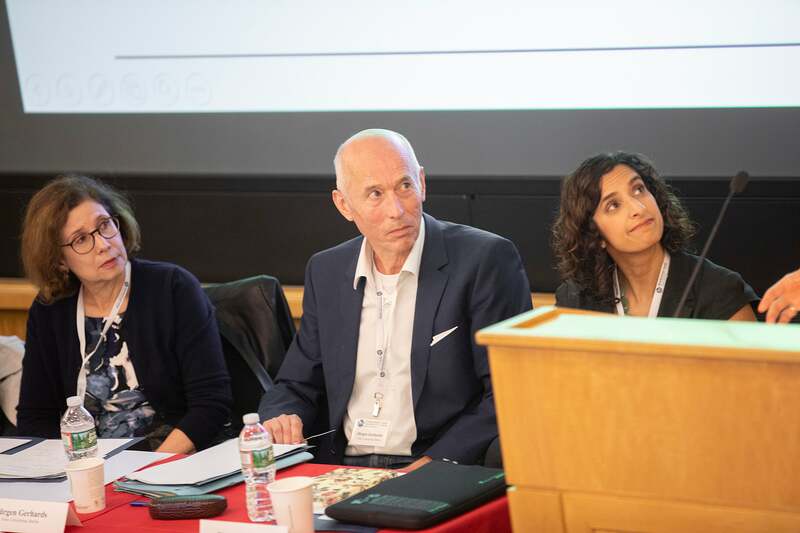 Upper-class parents have a variety of tools to help their children succeed in a changing world and improve their social status, advantages not readily available to poorer families, according to a panel at a Harvard conference. The upper middle class is “attempting to produce particular effective social boundaries which could separate them from … the lower middle classes in an unfortunately irreversible way,” said María Luisa Méndez, director of the School of Sociology, Universidad Diego Portales, in Chile, in a joint presentation with Modesto Gayo, a professor at the same school. 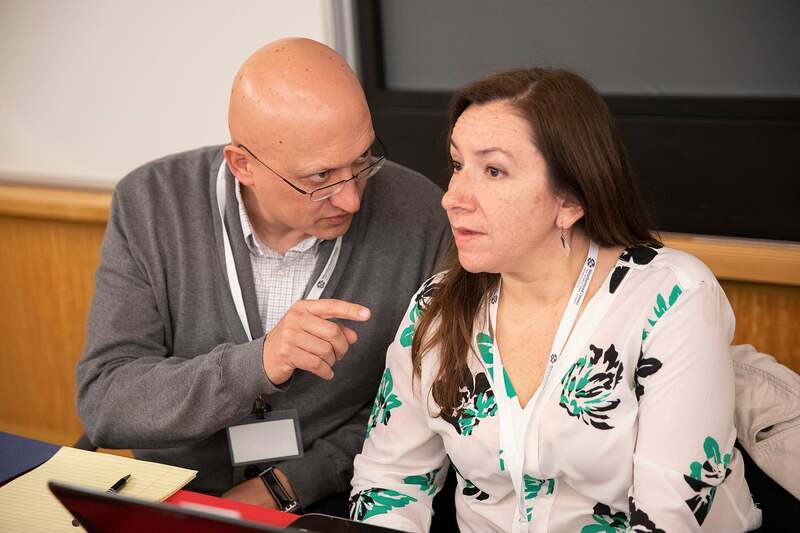 Higher-income parents, though, are hardly unified in their child-rearing strategies, according to the panel participants, who also cited ways that less-affluent parents can help their children overcome obstacles to social advancement. The panel “Class Consolidation: Identity, Distinction, and Cultural Practices” came on the opening day of the two-day event presented by the Weatherhead Research Cluster on Comparative Inequality and Inclusion. Matthias Koenig, a professor of sociology at Göttingen University in Germany and a visiting scholar at Weatherhead, chaired the session on class consolidation, while Natasha Warikoo, an associate professor of education at Harvard Graduate School of Education, led discussion after the presentations. Jürgen Gerhards, chair of macrosociology at the Institute for Sociology at Freie Universitat in Berlin, discussed his research into how upper-middle-class Germans prepare their children for globalization. Gerhards said that “transnational human capital” — such qualifications as the ability to speak another language, familiarity with other nations, and cosmopolitan attitudes — is becoming increasingly important, citing the growing demands for bilingual speakers. He said German upper-middle-class parents have high transnational human capital themselves and actively seek to endow their children with it through such means as enrolling them in bilingual kindergartens and, later, high school study-abroad programs. “The transmission of transnational human capital is part of a general child-rearing approach, and on average parents are the ones who are the drivers of this,” he said. Lower-middle-class families see the importance of transnational human capital but, in part due to financial constraints, do not pursue it for their children, Gerhards said, though some “ambitious ones … manage to overcome the class restrictions” and send their children abroad to study. Agnès van Zanten, senior researcher at the Centre National de la Recherche Scientifique, Observatoire Sociologique du Changement, Sciences Po, in Paris, argued that scholars such as Annette Lareau, who coined the term “concerted cultivation” when referring to middle-class child-raising, overstate the homogeneity of those practices, particularly within affluent families. Van Zanten said that her research has found that upper-middle-class parents in France fall into categories of technocrats and intellectuals. Intellectuals, who value knowledge for itself and often reside in socially mixed neighborhoods, emphasize “cultural co-optation of children,” van Zanten said, sharing activities with them that range from going to the theater to cooking. Van Zanten suggested that those differences within the upper middle class are more pronounced in France than in the U.S., reflecting how social boundaries in general are sharper in France. Mendez and Gayo traced their survey studies on the child-rearing practices of upper-middle- class parents in Santiago. Gayo said parents in the wealthiest areas of the city are the most demanding when it comes to choosing where to live and selecting schools, while upper-middle-class parents are more inclined to engage with their children in school and cultural activities, and to participate in cultural events.